Poodle mixes — crosses between a Poodle and any other breed — are increasingly popular. There are over eighty such “hybrids” listed unofficially. What makes these crosses so popular? Here are the top 7 reasons to consider Poodle mixes. One of the big advantages of a cross is that they tend to be more robust than their purebred parents. This is because of genetics. And without going into all the technical stuff about how genes flow from parents to pups, just know that the likelihood of genetic diseases reduces dramatically when parents belong to different breeds, as in Poodle mixes. Poodles are believed to be the second-most intelligent breed, after the Border Collie . It is very common for a Poodle cross to inherit that intelligence. Secondly, it means that no high-allergenic fine hair enters the home environment. Additionally, even though Poodles do shed fur, most of it tends to get tangled with the existing fur. This means that Poodles need to be brushed regularly, but it also means that most of the shed hair stays on the dog until brushed off. Poodles’ shedding characteristics tend to get carried over to their crosses. Another big advantage of Poodle mixes is their marked tendency to inherit the hypoallergenic quality of Poodle fur. Of course, no dog fur is completely non-allergenic, but the fur of Poodles and their crosses tend to have low allergenic properties. Couple that with the fact that they are low shedders and do not possess the fine undercoat hair layer, and one is left with a combination that most allergy sufferers can tolerate quite well. Poodle crosses, because of the way genetics works, tend to have personalities that appear to be moderate in comparison to their parents, a characteristic that can be welcomed by an owner not particularly interested in a high-energy dog. While pups can grow to be taller and stronger than their parents, the general tendency is for purebred pups to reach physical proportions that are close to the average of their ancestors. Because purebred Poodles come in a variety of sizes — there are actually three recognized sizes: standard, miniature and toy — breeders of Poodle mixes can offer height as another choice to owners who have specific requirements. Not willing to stop at just height, some breeders are willing to guarantee ever more characteristics to the picky owner. 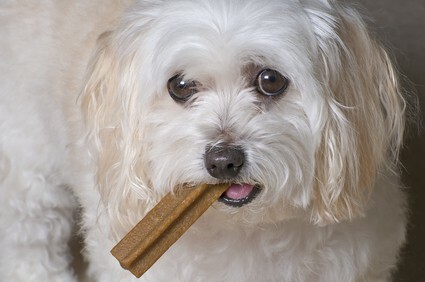 “Designer Dogs”, as the media calls them, are being increasingly popularized, in part, by association with movie stars. The Poodle continues to dominate in this class, although there are some mixes that do not include Poodle genes. Want a small, smart, playful dog that’s very easy to house train and is very social? Shop around for a Pomapoo. Looking for a lower energy dog that’s there when you need it? 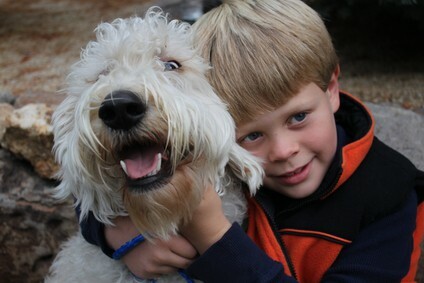 The Labradoodle could be the one — it is very low on aggression, while moderate to high on sociability and friendliness, making it ideal as a therapy pet or guide dog. Today, because of their intelligence and low-allergenic fur, Poodle mixes are easily the most popular of the various crosses available. All three sizes of Poodle — standard, miniature and toy — have been crossed with a growing number of other purebreds to satisfy the most exacting owner.